Antebellum mansions, pristine gardens and southern charm, the Garden District certainly stands out as one of the country's most lovely neighborhoods. 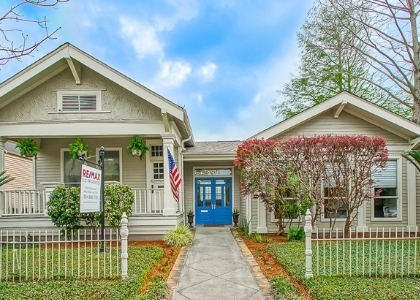 What visitors rarely see, though, is the close-knit neighborhood that keeps this historic district alive and thriving.Today’s Garden District is a dynamic community grounded in a strong sense of tradition. Some of its homes are still known by the names of the families that built them over a century ago, and official flags designating Mardi Gras royalty are a common sight here during Carnival season. In 1939 residents formed the Garden District Association, now a formidable force for preservation of the residential integrity of the area. A Garden District self taxing district established in 1998 provides the neighborhood with extra security. This area is great for residential and investment property! The search boundaries for this famous neighborhood are Saint Charles to Magazine & from Jackson Avenue to Louisiana Avenue.